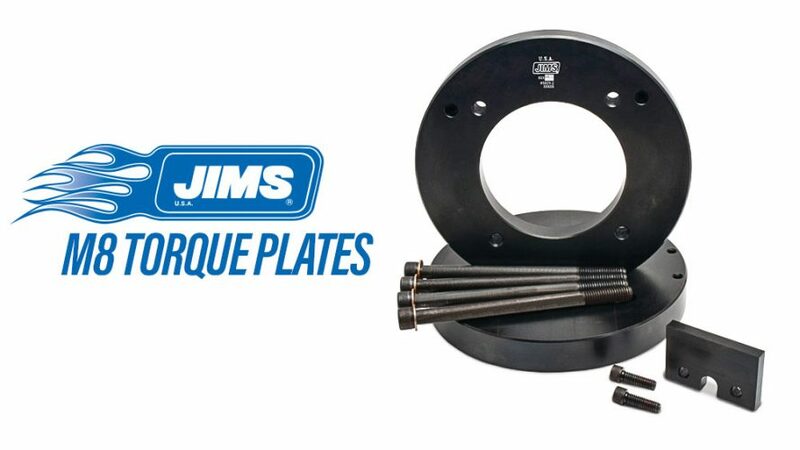 Torque Plates are essential piece of equipment for any workshop, and the workshop tools specialists at JIMS have the solution for Milwaukee-Eight engines. Without the use of torque plates, aluminium cylinders cannot be accurately honed and measured. The JIMS® Torque Plate kit for use on M8 cylinders will simulate operating stress conditions when boring or honing the cylinders. These plates adapt easily to conventional boring bars or a Sunnen type honing machine, and do not require removal of ring dowels. A must-have item for all workshops! The first shipment of JIMS Torque Plate Kits has sold out – backorder now to avoid missing out on our next shipment.